It’s that sort of self-referential humour that proved such a hit for Deadpool this year – one of the contenders for Noisy Little Monkey’s ‘Most Successful Social Media Campaigns of 2016’. Not that naming our five best campaigns signifies anything official, mind – we've spent all our trophy money on the Christmas party. Soz. However, we'll doff our hats vigorously. 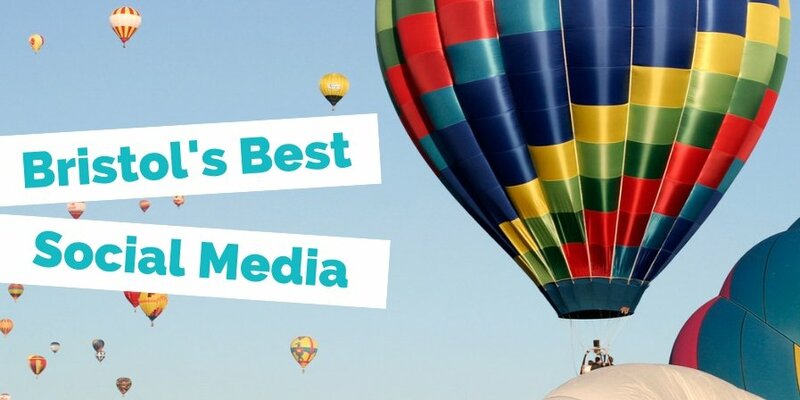 Getting it right on social media these days is not all that easy; it’s difficult to push the envelope when everybody is trying to do it. 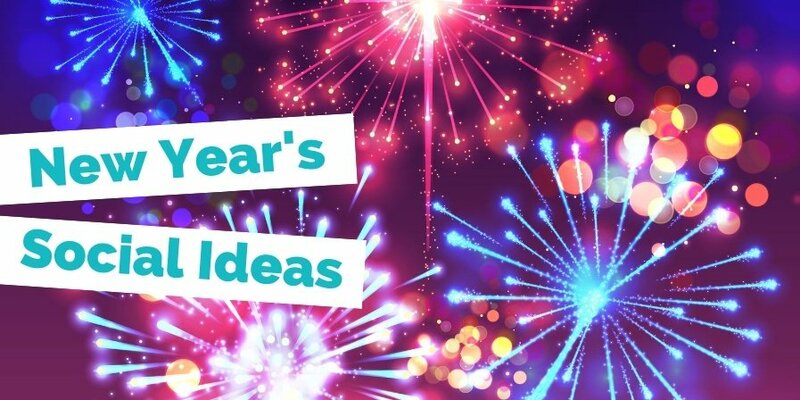 In order to stand out on social media in 2016, you had to have done something properly clever; something that fits both your industry and brand voice. The Deadpool marketing train got going in 2015 but a teacher friend informs me that kids are still talking about Ryan Reynolds’ passion project nine months after its release. Quite a few are under 15 (the film’s certificate)… bloody youth of today, eh? It’s a bit daft to single out Deadpool’s social media marketing, given that its entire marketing campaign was brilliant, but it’d be even sillier not to give it a mention. In the two weeks prior to its cinema release, Deadpool was regularly drumming up 10,000 to 20,000 tweets – not bad for a character that was a relative unknown. It’s that tone of voice which has propelled ‘The Merc with a Mouth’ from zero to hero, with posts that are unafraid to take risks (see above) and break down the fourth wall. Oh, and the movie itself is pretty decent too, which helps - eh, Suicide Squad? We’d like to think that homophobia doesn’t exist in 2016 but Amnesty International’s #GayTurtle campaign highlighted how, in some countries, being gay will still see you treated differently – even if you’re a turtle, it seems. The campaign’s centrepiece comprises a YouTube film showing a salesman in a Turkish aquarium shop selling turtles to consumers. The shoppers can’t help but swoon over the turtles – until the turtle salesman tells them about their purported sexual leanings. While the customers appearing in the video were actors, they were “voicing homophobic opinions and views that are commonly heard in Turkey,” Amnesty said. The film concludes: "Love is love. Hate is a choice." It’s powerful stuff. “'If Carlsberg did this’ is short hand for being the best,” said Allan Solomon, Global Marketing Director for the Carlsberg Group. “We feel that it’s necessary to talk about the quality credentials of the beer but to do so in an interesting, fun and engaging way.” Fair play, Allan, you’re probably producing the best beer content in the world. For some, this was the best social media campaign of 2016; for others, it was the worst. Either way, it certainly got people talking. Designer clothing website Lyst appeared to be selling “a new range of puppies and dogs” which they described the same way as clothes and accessories. 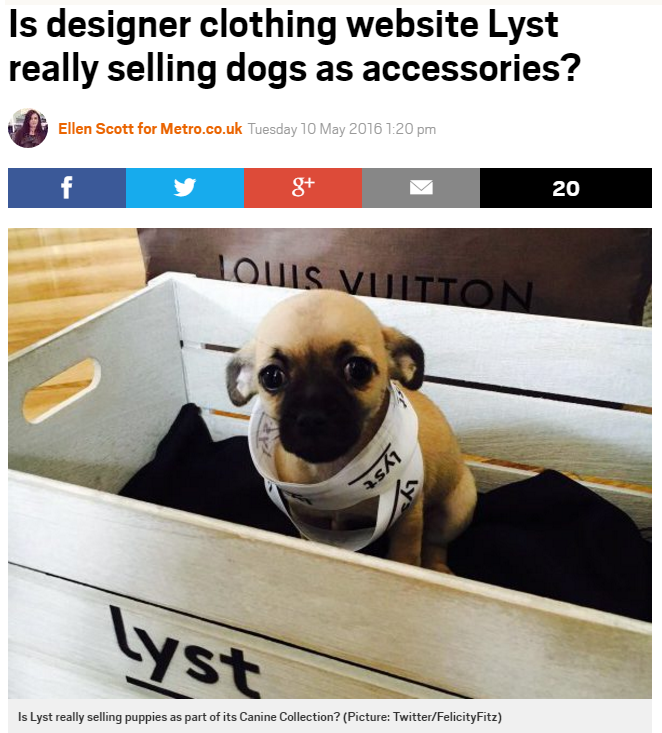 Of course they weren’t actually selling them but lots of people genuinely thought they were, taking to social media to berate Lyst for “selling dogs as accessories when rescue centres are full”. In fact, the campaign was carried out in response to an increasing number of ‘fashionable’ dogs being dumped by owners, with Lyst declaring: “A dog is for life, not just for Instagram.” They might have pissed a lot of people off with the campaign but it got a lot of coverage in some national newspapers, so you do the math. Video content is the future of social media marketing, blah, blah, blah. If I see another blog post telling me this, I’m going to explode. Yes, it’s very much true but it’s been patently obvious for yonks. However, video content is only ‘the future’ for brands that can be truly creative with their videos – like Buzzfeed have with their Tasty offshoot. In the space of nine months, Tasty has gained over 70 million Facebook fans by producing “snack-sized videos and recipes you'll want to try”. Even its video on how to make cauliflower fried rice has hundreds of thousands of views - wut?! While these campaigns are all distinctly different from one another (we’ve carefully curated the list like that, you see), they are all built on the same foundations: the brands behind them knew who they were talking to and spoke in their language, creating a campaign that would appeal to the right sort of people for them. Can you see where we’re going with this? They knew their personas! Lyst won’t give a hoot that they pissed people off – those getting upset aren’t the sort of customers they want knocking about their website anyway. As long as they’ve not upset Fashionista Fred, they’re quids in. 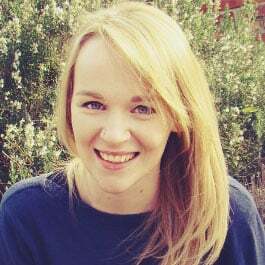 That’s how campaigns should be judged – on how well they are received by a brand’s audience. All the people outside of that don’t matter. To get to know your audience, and be a shiny contender on our 2017 list, you'll need to create some personas yourself. Download our free persona PDF to find out more.